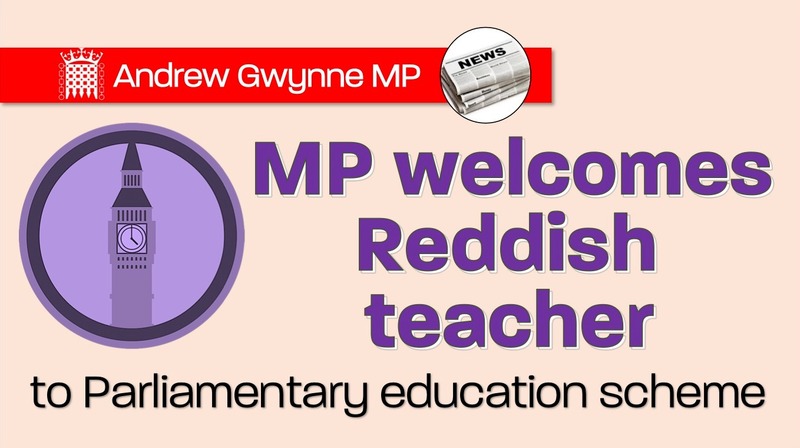 Denton and Reddish MP, Andrew Gwynne, has joined a local teacher from Reddish in Parliament as they celebrated their successful application to attend the UK Parliament Teacher Ambassador Programme. Teachers attend a three-day training event in Parliament, fully funded by Parliament’s Education and Engagement Service. Attendees have the opportunity to question the House of Commons Speaker and the Lord Speaker, and hear from parliamentarians of all parties about their work. 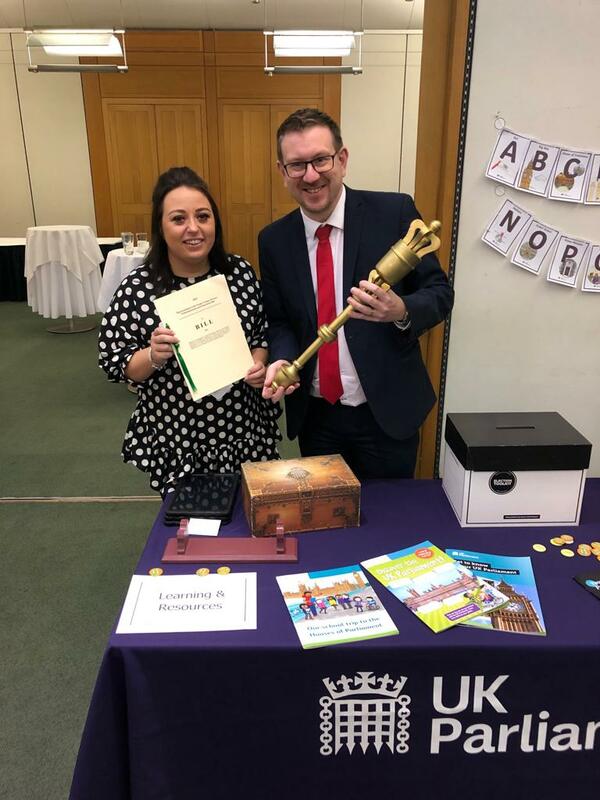 Following the programme, teachers will go back to develop their students’ and colleagues’ understanding of Parliament and democracy, and will benefit from continuing partnership with Parliament’s Education and Engagement Service. As a graduate of Teachers’ Institute, teachers become a Teacher Ambassador for UK Parliament Education. Using free resources provided during the programme, they will be able to benefit from continuing partnership with UK Parliament Education and inform their schools of the work undertaken in Parliament. “I was delighted to meet with Charlotte from Reddish Vale High School to help celebrate her fantastic achievement.